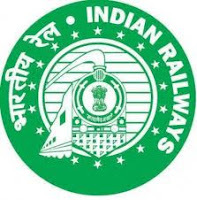 Jobs Details :- Application are invited for the Posts of Section Engineer, Junior Engineer in North Western Railway. Qualifications : Degree in Civil Engineering (OR) A four year course of B.Sc. (Engineering) Civil from a recognized institution. 4 (Four) year Degree in Engineering in Electrical, Electronics, Optical Communication, Sound & TV Engineering, Industrial Control, Electronics Instrumentation, Industrial Electronics, Digital Electronics, Power Electronics, Information Science/Technology, Computer Engineering, Computer Science, Computer Technology or M.Sc. (Electronics, Physics, Computer Science) . Total No. Of Post : 85 Posts. Age Limit : 18-45 Years. Application Fee : No examination fee as this recruitment is for physically handicapped candidates. How to Apply : Applications complete in all respects along with required enclosures should be sent BY ORDANARY POST to Dy. Chief Personnel Officer (HRD), Railway Recruitment Cell North Western Railway ,Durgapura Railway Station, Jaipur-302018 or dropped in the Application Box kept in the office of RRC/Durgapura-Jaipur upto 17.30 hrs. of the closing date i.e. 27.07.2012.